Be part of the Indian Heritage Centre's (IHC) second anniversary celebrations, held in conjunction with Singapore Heritage Festival 2017. Themed The Streets of Little India, IHC will come alive with celebrations kicking off on the evening of 6 May, showcasing the multi-cultural stories of Little India. Explore Campbell Lane, which will be transformed by colourful street art installations, such as a saree-inspired installation that will hang over the street, and street art murals. Other programmes include performances by dance, music, theatre and puppetry groups, as well as food trails around the streets of Little India led by Singapore celebrity chefs. IHC’s ongoing special exhibition, Once Upon a Time in Little India, will also provide visitors with a deeper understanding of Little India as a rich historical and cultural precinct. Join us as we unearth the lesser-known stories of Little India! Campbell Lane comes alive with street art inspired by floral designs and Indian textile motifs! Organised by the Indian Heritage Centre in collaboration with various community organisations, Campbell Lane will be transformed into a beautiful and vibrant art street. Take a walk through the dazzling artwork and locate the best spot for your selfie or Instagram shot, and remember to tag #SGHeritageFest! Inspired by the various textile shops in Little India, Sea of Sarees is an outdoor art installation that will adorn the Indian Heritage Centre. Visually vibrant and colourful, the street will be transformed into a creative tapestry of stylised sarees. Visit Campbell Lane and be enchanted by the art installation. Join celebrity chefs Devagi Sanmugam and Sultanul Ariffin for a feast for the senses in this special guided tour of Little India's famous eateries. As part of the Indian Heritage Centre’s anniversary celebrations, the centre will be offering guided food trail tours to long-established eateries in Little India. Enjoy a never-seen-before performance staged on the steps of the Indian Heritage Centre on Campbell Lane! Presented through the traditional art forms of Wayang Kulit (Southeast Asian shadow puppet theatre), Theerkoothu (an Indian masked street dance), and accompanied by Gamelan (Indonesian musical ensemble) and Indian music, The Ramayana Extravaganza will enthral all in a spectacular multi-cultural collaboration! Get your heart thumping with Singapore ensemble Nadi Singapura and friends as they enliven the streets with the beat of traditional drums and percussions from the various communities in Singapore! Experience a live traditional Kerala puppet show presented by master puppeteers from Kerala's Tholpavakoothu Sangam! Watch puppets come to life under the nimble hands of the puppeteers, and enjoy classical stories told across generations. 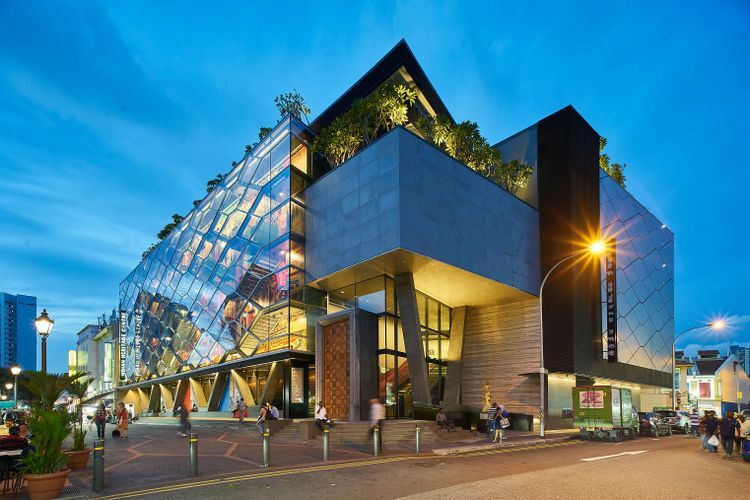 Join the Singapore Indian Theatre and Film Explorers for a live outdoor theatrical production conducted in Tamil, which will showcase vignettes of the various streets in Little India.